Dojutsu can be transplanted and some of the wielders of these borrowed powers have come to be renowned and famous due to their mastery of it. 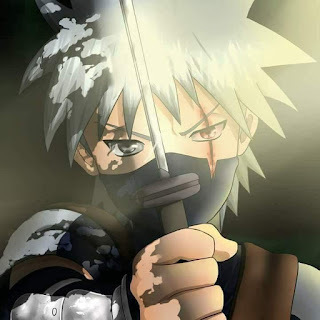 Kakashi Hatake was known as Kakashi of the sharingan or the copy ninja due to his prowess with it as it is claimed that he has copied a thousand jutsus. Another prime example of someone with a borrowed dojutsu whose prowess was known worldwide was Nagato Uzumaki, who wielded the rinnegan to such a degree that he was compared to the sage of six paths. 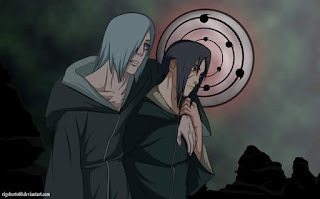 The rinnegan was inplanted in Nagato by Madara Uchiha (reason would be discussed in another article). 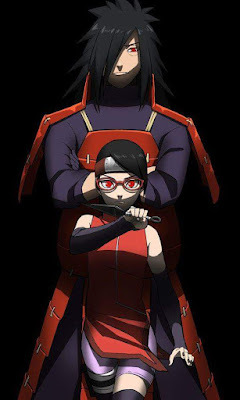 The rinnegan gave Nagato abilities such mastery over the 5 elemental natures including Yin-Yang release and it also gave him rinnegan specific techniques such as the ability to summon the gedo statue and chibaku tensei. To prevent individuals from knowing about his abilties, he implanted chakra rods in six corpses and gave them the ability to use a technique unique to the rinnegan. Some of the battle strenght of the rinnegan is the ability to have a shared vision between the 6 paths and also the creatures summoned by the animal path. The rinnegan also have its limitations such as the amount of chakra needed to use its technique. The rinnegan doesn't need so much chakra to remain active but the 6 paths technique are quite chakra taxing. The only reason Nagato was able to use the rinnegan to the extent he did was because he was an Uzumaki (same bloodline as the Senjus) who were blessed with insane amount of chakra and a strong lifeforce. 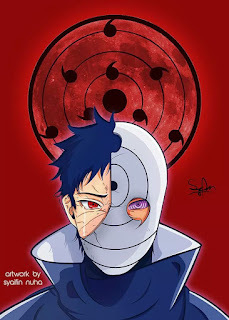 Due to extensive usage over time, his hair changed colour from its natural uzumaki red to white and he became frail and needed a mechanical support to move. Despite this, he was one of the strongest shinobis in Naruto and a testament to his strength was him killing Jiraiya who was one of the legendary sannin and his reincarnated form almost defeating an almost perfect jinchuriki naruto and a perfect jinchuriki Killer Bee. Nagato did not have any unique rinnegan powers like Madara's Limbo or Sasuke's space-time ninjutsu. Another wielder of the rinnegan who borrowed it was Obito Uchiha who combined it with his natural sharingan and when he became a jinchuriki of the ten-tails, he achieved powers close to that of the sage of 6 paths. Although in his 6 paths form, he could not use Kamui (a technique of his Mangekyo Sharingan). Obito never used the rinnegan to the point Nagato did due to his chakra reserve not being as much as Nagato. He also did not get a unique rinnegan ability the way Sasuke and Madara did due to the power being borrowed instead of awakened. 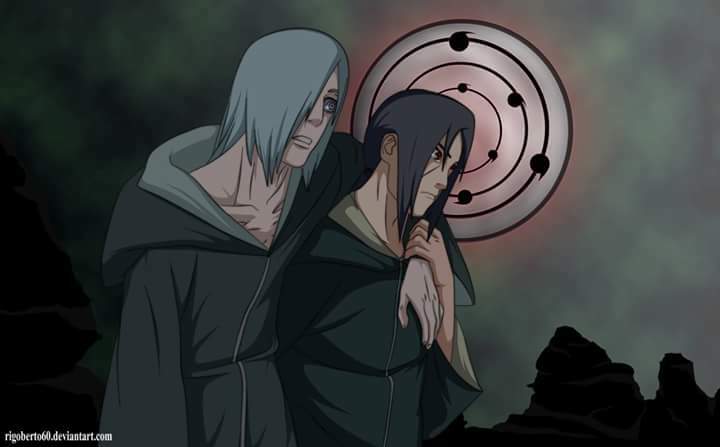 The rinnegan is an amazing power to have but it does have its limitations and these have nothing to do with the dojutsu but with the shinobi wielding them, Madara wielded it to devastating effect during the 4th shinobi world war and Hagoromo used his to split the ten-tails into nine different tailed beasts. The rinnegan is the second strongest dojutsu known in naruto, second only to the rinne-sharingan wielded by Kaguya. 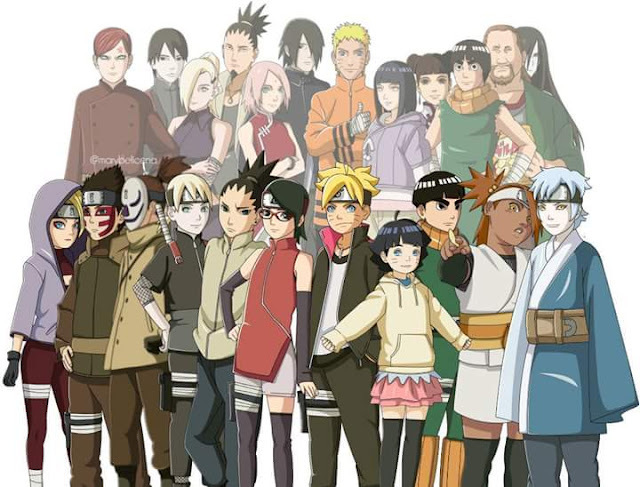 A possible match for the rinnegan would be the dojutsu wielded by boruto of which only a glimpse has been shown.